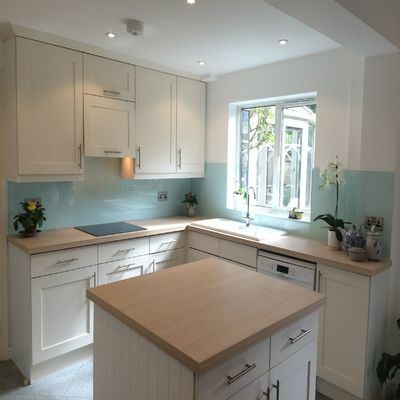 Glass splashbacks are the ultimate replacement/ alternative to the outdated kitchen and bathroom tiles. 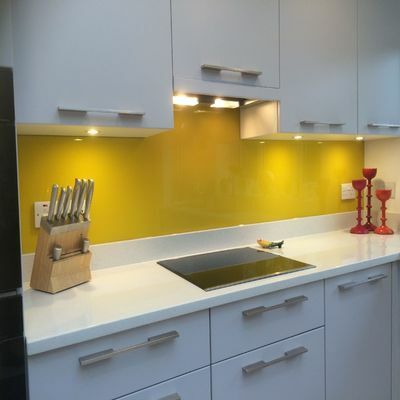 With no lines to worry about, glass splashbacks not only look seamlessly beautiful, they also stay clean and hygienic, longer than almost any other material. 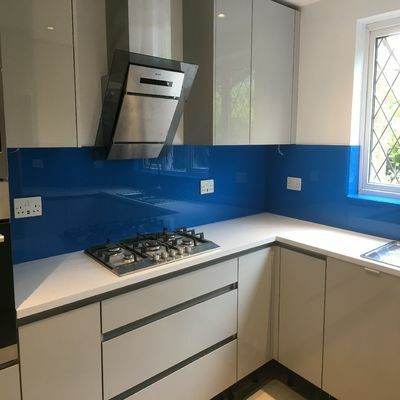 Glass splashbacks are heat resistant, strong and durable, they can run behind hobs and sinks or even clad an entire wall for a truly dramatic effect. 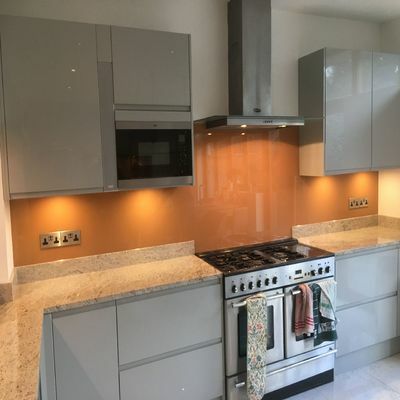 Our expert’s ability to work glass into precise shapes makes glass a practical alternative in almost every situation, the glass can easily be worked around sockets, lighting and any other protruding features. 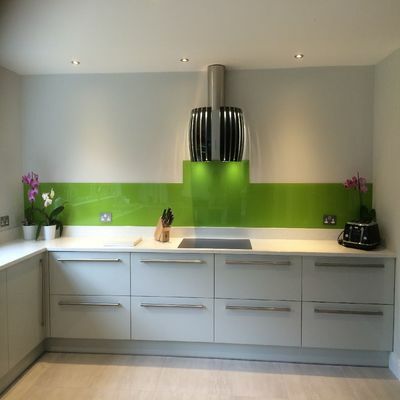 We are one of Surrey’s leading suppliers of glass splashbacks and worktops. 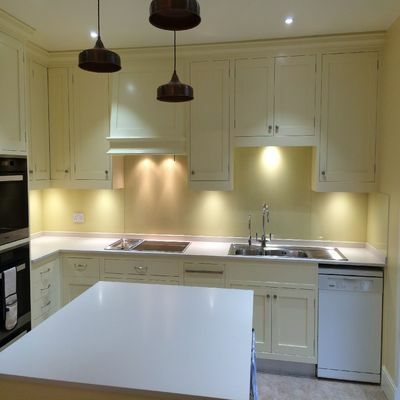 With a full template and installation service available in-house, we can handle your design requirements from start to finish, providing you with a stress free experience and completely flexible service. 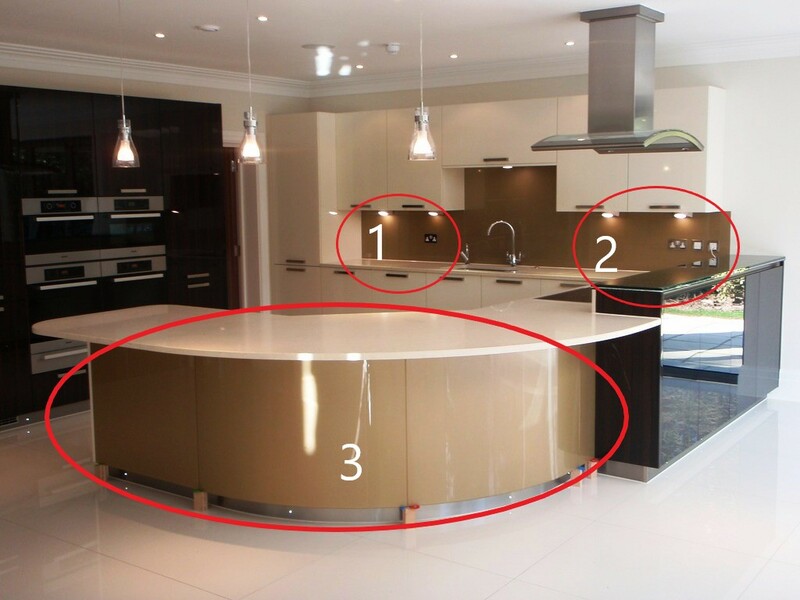 To use the Splashbacks Colour Demo click the square icon located at the top left of the page, (just above the splashback image), this will open a paint palette, you can either manually enter numbers in each of the colour aspects (Red/Blue/Green etc) or simply place the mouse pointer on the vertical colour palette, click and hold then drag the mouse up/down/left and right to select the desired colour). The demo is intended as a guide only, all colours should be selected based on actual colour codes and the use of samples, is highly recommended. Please Note: As with any batch manufactured item, there is always a small chance of slight colour variation in the manufacturing of the paint. 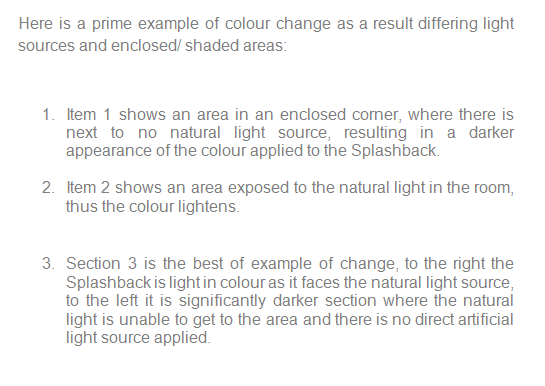 Additionally, when placed under cupboards and subjected to a change in light level, this may also cause a variance to the colour and therefore samples should always be considerd prior to choosing the paint colour.